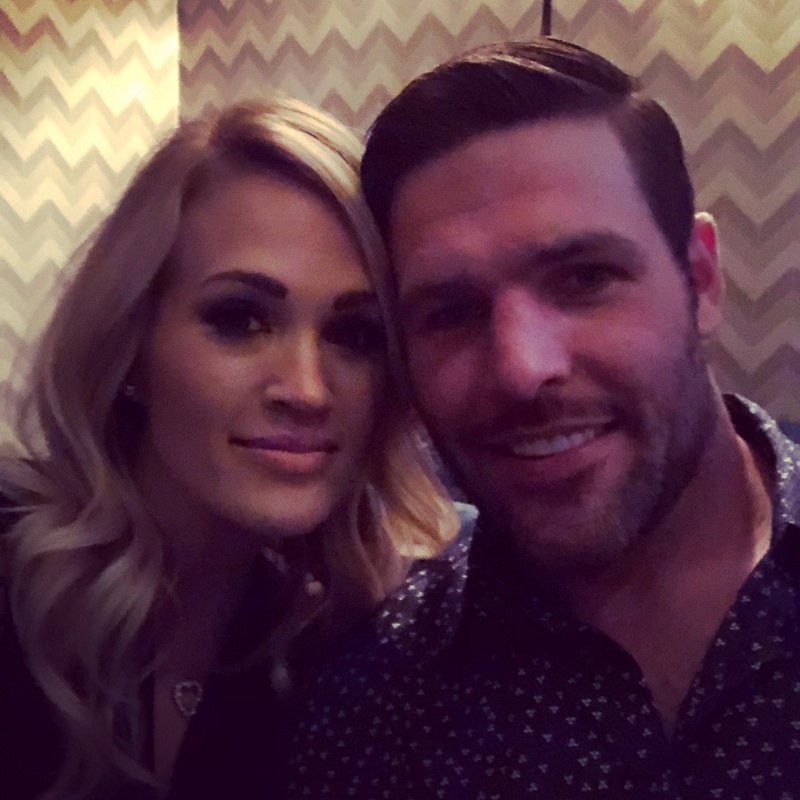 The 35-year-old singer and former "American Idol" winner marked the occasion Tuesday by dedicating a sweet post to the 38-year-old former NHL player. Underwood shared two photos of herself with the former Nashville Predators center. One picture shows the couple smiling for the camera, while the other shows them about to share a kiss. "Here's to 8 years, babe! Where does the time go?!" Underwood captioned the post. "I love you today more than yesterday... which was more than the day before... and so on and so forth. Here's to many more years together! [Love] you!" Underwood and Fisher are parents 3-year-old son Isaiah Michael. Underwood shared a cute photo with Isaiah this month after Fisher brought the toddler to see her perform at a concert in Atlantic City, N.J.
Underwood returned to the stage in April after breaking her wrist and injuring her face in a fall at home in November. She discussed the incident in May after telling fans she required more than 40 stitches in her face. "Plain and simple, it was just kind of a freak accident," the star said in an interview with "Today." "I just fell, I just tripped taking my dogs out to do their business. It could have happened to anybody." "In the beginning, I didn't know how things were going to end up. It just wasn't pretty," she added. Underwood will release her sixth studio album, "Cry Pretty," on Sept. 14. Jeremy Roloff leaving TLC's 'Little People, Big World' -- "The time has come"